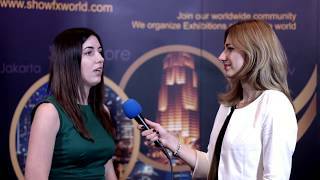 ShowFx World finance exhibition in Moscow: the world of finance in one place! 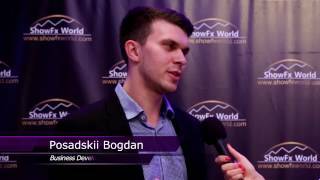 ShowFx World international brand gave the members of traders` community of the Moscow region another opportunity to have a great time. On April 2-3 the capital of Russia was the place for holding ShowFx World Moscow Finance Expo 2011. As usually, the exhibition guests enjoyed an intense programme designed by the organizers and participants of the exposition. It included seminars about all the aspects of trading on the financial markets, master classes by Forex and stock exchange professionals and pleasing prizes. Thus, for instance, iPad was raffled by InstaForex Company etc. The title of the Best CIS Rebate Service 2010 was given to Traders Union, while Dow Jones news giant was declared to be The best Forex News Provider 2010. ShowFx World expresses its gratitude to the partners, participants and visitors of the exposition and reminds you that the next exhibition will take place in Moscow on November 11-12! Do not hesitate to come! We will be happy to see you!